Hear the shrieks of colliding metal! Behold the true form of steel! An explosive onslaught of shooting action! Five hundred years had passed since the last war. Humanity succeeded in eliminating all forms of war, disease, and poverty, bringing about an era of perpetual peace. However, calamity soon struck. The sudden arrival of flying objects known as Steel Vampires threatened the entirety of mankind's existence. On the brink of extinction, the fate of mankind has been left to just a single person. A man deemed far too dangerous to the sustainment of humanity's serenity. He was cryogenically frozen--his existence nearly erased from history. His name is... Yoshino Sakurajima. 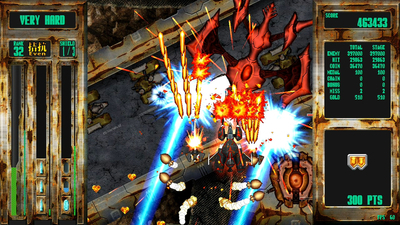 Vertical scrolling shmup where defeating enemies at close range is key. Relish in destructive power as you fly through a hail of enemy fire! More powerful weapons can be acquired the more you play. Rank increases automatically as time passes! Collecting red rank items will increase your rank! Collecting green rank items, using Bombs, or losing a life will lower your rank! More recovery items and bombs drop when enemies are defeated at close range! A higher rank means more points! 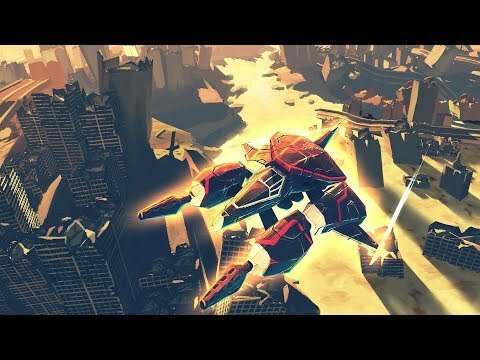 Refreshingly unique and lots of fun, Steel Vampire is well worth checking out. 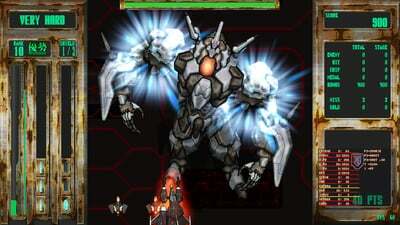 Its inspired take on rank control makes for a shmup that can be approached in a number of ways. The RPG elements are also quite interesting. Finding the right build can lend all sorts of advantages to the player's ship. There are even rare and legendary drops, which is an amusing novelty. Best of all, this game's usage of high speed bullet spreads and strong weaponry create an aura of ferocity not often seen in the genre. The impact of crushing legions of enemies before they can shoot is oh-so-satisfying. Steel Vampire's concept of on-the-fly difficulty settings has merit, but it proves to be far too challenging from the get-go. Its focus on offensive play ultimately puts players at a disadvantage, making it only worthwhile for the most hardened of shmup fans.